The 'Stone of the Dragon', helps in the opening of the inner senses to their highest potential. Charoite can give its keeper journeys to remember, this stone helps awaken inner senses with purity and clarity. Charoite also helps to remove blockage and stagnancy from the bodies whole energy flow. This stone encourages actual time travel of the spirit, taking one into deep astral travel, giving visions and insight to forgotten teachings, forgotten followings and forgotten lands. Charoite will take one into the past or into the future, this stone works with spirit guides in order to keep control and stability in such journeys. A very beneficial stone to use in Dream Mastery. 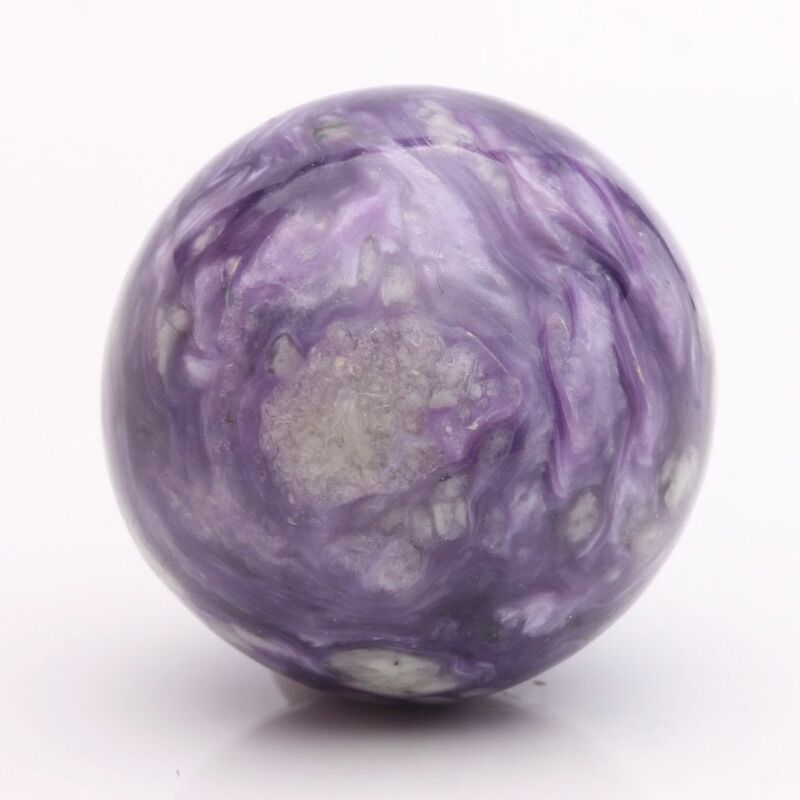 Charoite brings one to all doors of the Dream World and helps in stepping through and crossing over into the deepest of Dream states, giving the opportunity to the gaining of the purest of Dream Wisdom. Charoite is a stone that will work well in positive spell work, magic and wishes. The energies of Charoite will bond instantly with many true to heart wizards and witches. Charoite is a powerful creation that holds the flames from the Dragons self. A stone that resonates well within all of the bodies energy centres, giving a spark to each, but especially within the Third eye and Crown energy centres. This makes Charoite a good stones for those who are opening to higher awareness and those who wish to put the channeler self out into the world with courage and clarity. 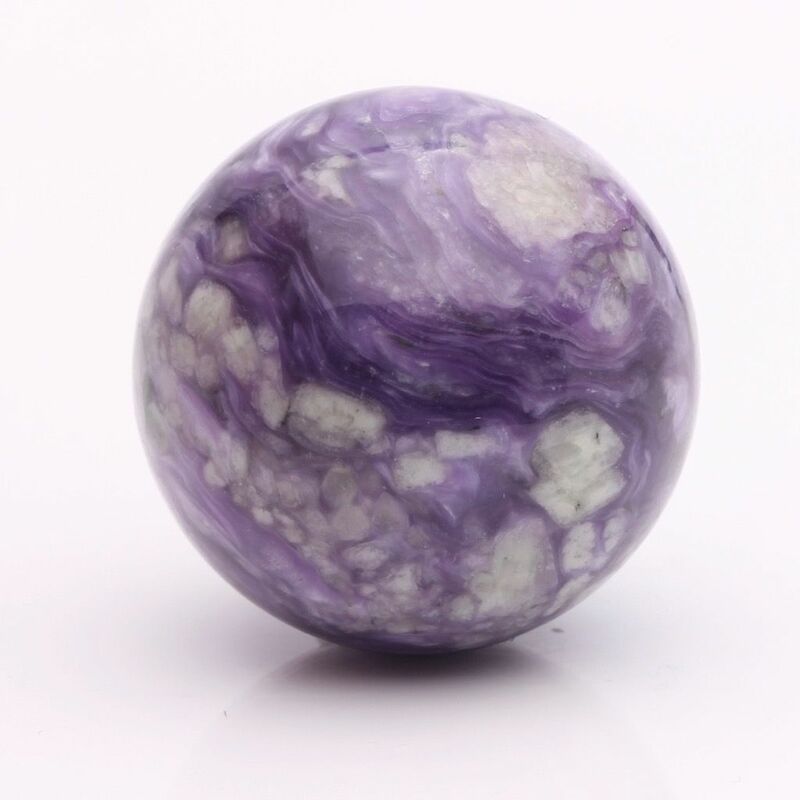 Charoite is a perfect stone to be used where the imagination clearly needs deep stimulation, as well as helping one to face daily life with flames of passion, idea and wisdom. Alongside this, Charoite is a stone that helps one to be more uplifted and positive natured. "Allowing the energies into oneself is allowing the flames of the Dragon to grow strong"
Charoite will strongly draw in its Keepers. "It is the time to awaken what is of the past and what may be of the future, bringing it onwards into the making of the present"